And when they say educational programming, they’re not just talking Selector 101 brush-ups. They’re talking motivational, inspirational reminders like what can be expected from Miles Adcox, who’ll share his thoughts on Intentional Living (How to Get Control of Your Life Back). Adcox is CEO and Owner of Nashville-based Onsite, which offers short and long-term experiential therapy workshops designed to help individuals and couples experience a breakthrough and discover a better future. Adcox and his messages of personal growth have been featured on many national radio shows alongside appearances on TV’s The Doctors and Dr. Phil. 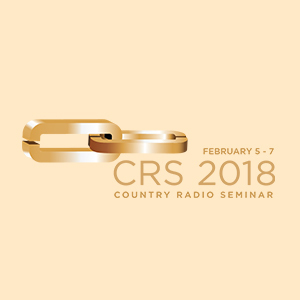 Such a presentation is consistent with CRS’s commitment to a long-standing motto: “Growth through sharing.” The organization boast a best and brightest Board, whose members hail from industry giants UMG Nashville, Curb Records, Townsquare Media, Warner Music Nashville, Cumulus Media and more. Music fans all, they’ve joined radio professionals across the format in voting for this year’s New Faces of Country Music Show® sponsored by Academy of Country Music and St. Jude Children’s Research Hospital. Nominees are: Midland, Dylan Scott, Luke Combs, Runaway June, Lauren Alaina, Russell Dickerson, Walker Hayes, Devin Dawson, Craig Campbell, Michael Ray, LOCASH, Aaron Watson, LANCO, Carly Pearce, Chris Lane, and High Valley. In addition to the to-be-announced winning performances, attendees will be on hand for recognition of this year’s Rusty Walker Scholarship Recipients. Jennifer “Jenn Parker” Hays, MD at KCTR in Billings MT, and Mark “Haystack” Wells (PD at KCYT in Fayetteville, AR join Jamie Jackson Promo Director at KRTY in San Jose in receiving the honor. The Rusty Walker Scholarship program was named in honor of Country Radio Hall of Fame member Rusty Walker, who passed away 2012 at 59. CRS created the scholarship program in his name, enabling young members of the business who may not otherwise have the chance, to attend CRS. Another marker of an all-around swell org. Additional honorees will include the recipient of the Tom Rivers Humanitarian Award, presented in honor of former CRB board member Tom Rivers. The award recognizes “an individual in the country radio industry who has displayed a magnanimous spirit of caring and generosity in service to his or her community. Known for his work at WQYK – Tampa/St. Petersburg and WUSN-Chicago, Rivers was highly regarded for his exemplary public service. This is not an annual award, but given when the board feels an individual, through outstanding service, warrants the recognition.” This just scratches the surface of the award ceremonies honoring Country Radio Broadcasting’s living legends. Amidst the live music, self-care and exploration, though, appropriately enough, CRS festivities will of course include visits to the Country Music Hall of Fame & Museum. Cumulus’ Greg Frey, Chair of the Agenda Committee, neatly offered a few nuggets about what to expect. “Highlights include two research studies, presented by CMA and Edison Research, and a ground-breaking talk from Cumulus Media’s CEO, Mary Berner.” Attendees can even expect things to get…topical. “We have an obligation to our industry to speak on the areas of personal responsibility, sexual harassment, and treating others with dignity and respect. This hot topic discussion … will be addressed in this year’s agenda.” Frey shared. Not one to be missed!